"I picked a new Canon Vixia HFR600. It is set to record video in MP4. But Movie Maker 2.6 does not accept MP4 video files, so I need to convert them to MPEG-2, WMV, or AVI. Something that Movie Maker 2 can accept." "Windows Media Player 11 recognizes and plays MPEG-4 just fine but WMM doesn't recognize them. I would like to import some MPEG-4 files into Movie Maker and edit with them - is there a codecs or something that allows this? " Another simple solution is converting incompatible MP4 files to Windows Movie Maker readable file formats. 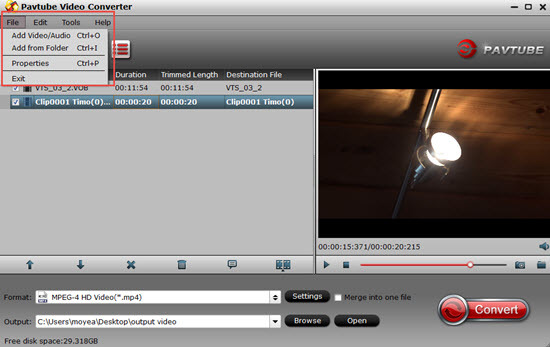 Here, a powerful video conversion tool in hand is called Pavtube Video Converter (best Video Converter review), with the program, you can comprehensively convert virtually any MP4 files or other unsupported file formats such as AVCHD MTS, Sony M2TS, Torrent AVI, to Movie Maker best compatible WMV video formats and WMV audio formats. 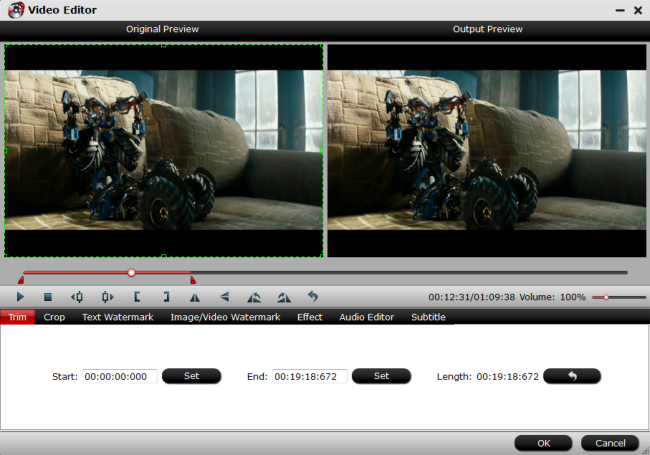 Besides that, you can also use the program to do some simple editing on the MP4 video footage. You can trim or cut video to remove unwanted parts from video, merge separate video clips into one file, split large files into small parts by file size, count or length, crop off the black borders around the video frame, add video/image/transparent text watermark to video, change video color effect or apply special rendering effects to video. 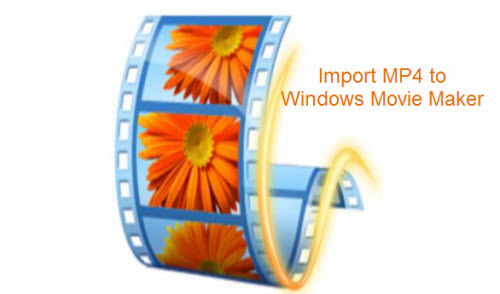 How to Import and Edit MP4 Files with Windows Movie Maker? Step 1: Add unsupported MP4 files into the program. Run the program on your computer and click "File" > "Add Video/Audio" or "Add from folder" to add unsupported MP4 files into the program. Click the pull down menu of "Format", then you will be able to select a Windows Movie Maker supported format from the output format profile, choose "HD Video">"WMV HD (*.wmv)" as your output format for editing HD video on Windows Movie Maker. Tips: For common video, you can either choose to output high quality "WMV3(WMV9)" format or fast conversion speed "WMV2(WMV8)(*.wmv)" format. Step 4: Start MP4 to Windows Movie Maker conversion. Once the conversion is finished, you can click "Open Output Folder" button to get the output files effortlessly, and now you will have no problems to import and edit MP4 files with Windows Movie Maker. Just import the converted files to Windows Movie Maker for editing via its "Import video" option.